The coral lips, the mint + black combo, the lighter-than-air skirts... It's so very Dior, and so very perfect. The cut of these dresses is so striking and sophisticated. I love the rich but not electric colors, as well as the simple, feminine touch of the black belt. This YSL collection was one of my favorites. The colors and fabrics are so rich and lux, and I love the juxtaposition of these long, bohemian skirts with tailored trousers and voluminous mini-dresses. 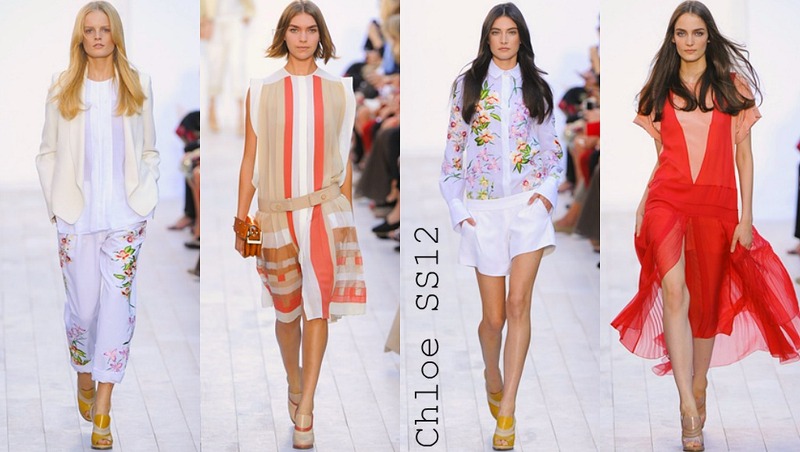 Chloe's color palette is in stark contrast to YSL, and much more typical of Spring. I am running out of descriptive words that don't sound like I'm just repeating myself over and over again, but oh la la the colors! The Stripes! The easy silhouettes are totally my style (I love a drop waist). Pajama chic at Stella McCartney. 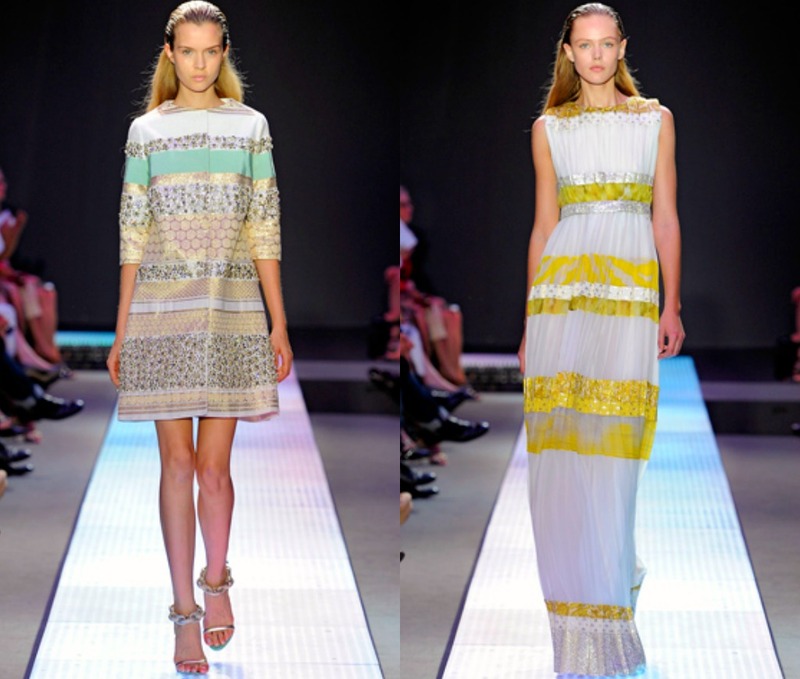 I love the textures and patterns executed in horizontal stripes for the Giambattista Valli collection. 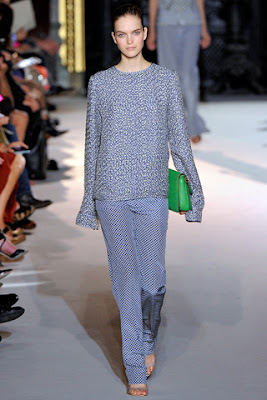 I love the Dior collection - so feminine and romantic!